1: The default fonts The default font setup on Kubuntu Karmic is ok. 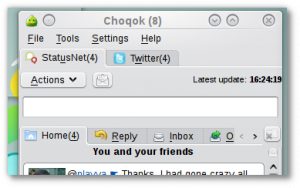 But I wanted some better than ok, so I install the liberation fonts which has always served me well in the past (especially when I was a gnomie ) It comes as part of the Kubuntu-restricted-extra package. I will let you be the judge of that. You can also browse through other related articles on aoizora.org. 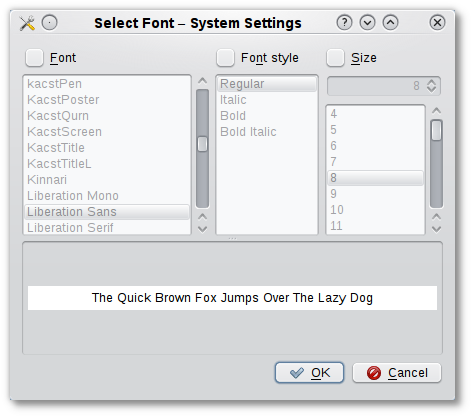 Hey Buddy!, I found this information for you: "My Smooth fonts setup for Kubuntu Karmic". 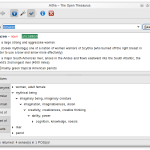 Here is the website link: http://bigbrovar.aoizora.org/2010/01/16/my-smooth-fonts-setup-for-kubuntu-karmic/. Thank you.